Carey Young, 2004. Looped digital animation. A digital video animation transposing Beuys’ famous title ‘La Rivoluzioni Siamo Noi' ('we are the revolution’) into the fonts of contemporary brands such as Vogue, Apple, Chanel or Mobil. 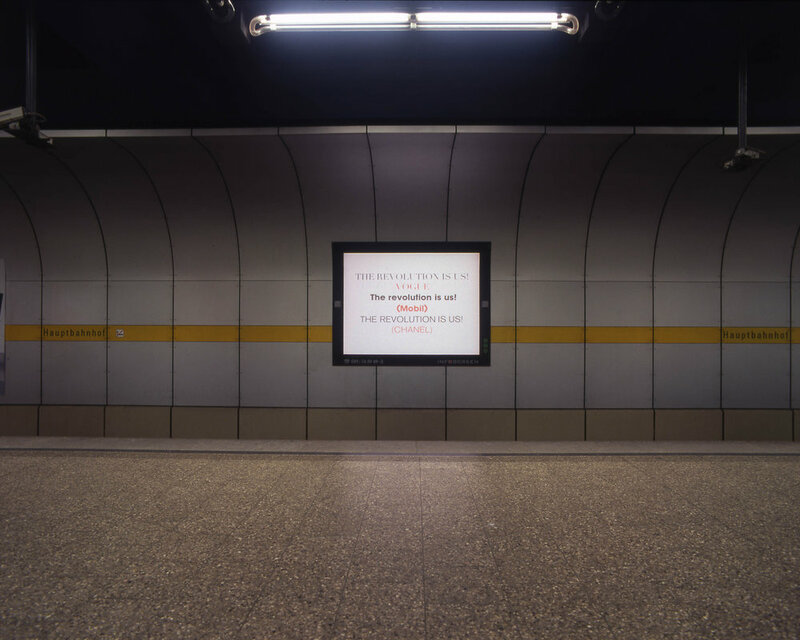 For several weeks the work was screened on large video advertising displays located on the platforms of the Munich subway system, as well as in the front window of the Kunstverein München.